The staff of GRANELL Hydraulic Engineers is composed by 10 people, most of who are civil engineers with varying degrees of experience, highly specialized in the different areas comprised in hydraulic engineering. The management of the company is led by Carlos Granell, who has 17 years of experience in the field and is currently the General Secretary of the Spanish Committee of Large Dams (SPANCOLD) and by Carmen Baena PhD in civil engineering, who is the technical director of the company and has 23 years of experience. Carlos Granell Ninot is Civil Engineer and MSc from the Technical University of Madrid, CEO of GRANELL Hydraulic Engineers and General Secretary of SPANCOLD (Spanish Committee on Large Dams). He is also the Director of the Technical committee for Numerical Models in Dam Analysis and Design of SPANCOLD and member of the Dam Selection Type and the Computational Aspects of Analysis and Design of Dams committees of the International Commission on Large Dams (ICOLD). He is the author of many relevant hydraulic projects, such as the Cuira Dam (140 m high RCC dam in Venezuela), the Alto Tâmega Dam (double curvature arch dam, 106 m, in Portugal) and the Daivões Dam (arch-gravity dam, 80 m, in Portugal). He has taken part in other types of projects such as canals, conduits and irrigation works. He has written numerous technical reports on hydraulic works. 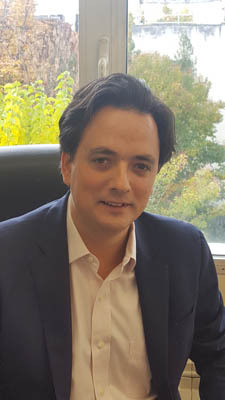 He is the Director and lectures in the International Master’s program on Dams and reservoir exploitation and safety organized jointly by SPANCOLD and the Technical University of Madrid. Module 4: The dam as a structure. He has published many articles and made numerous presentations in various conferences and languages about various areas of hydraulics. He is currently writing a doctoral thesis on special spillways, a subject in which he is managing a research program funded by the Spanish Ministry of the Environment. Carmen María Baena Berrendero is Civil Engineer, MSc and PhD from the Technical University of Madrid. Thesis: “Seepage analysis in dams founded on gypsiferous foundations”. The continuation of this work is “Dams founded on gypsiferous foundations. Numerical model of the dissolution process and design criteria” and was awarded the José Torán 2016 Prize. 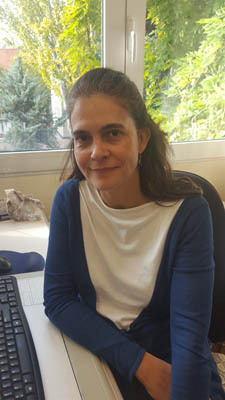 She is the Technical Director of GRANELL Hydraulic Engineers, where she has been working since 1995 in various projects in hydraulic engineering. She is a member of the Technical committee for Numerical Models in Dam Analysis and Design and of the Technical committee for concrete dams at SPANCOLD (Spanish Committee on Large Dams). She has taken part in a large number of dam projects, such as Puentes IV Dam (62 m gravity dam in Spain), La Loteta Dam (embankment dam 35 m, founded on gypsiferous terrain in Spain), Castrovido Dam (96 m gravity dam in Spain), Montesa Dam (double curvature arch dam 56 m in Spain), the Alto Tâmega Dam (double curvature arch dam, 106 m, in Portugal), among others. She has worked in other types of projects such as canals, conduits and irrigation works and in numerous technical reports on hydraulic works. She lectures in the International Master’s program on Dams and reservoir exploitation and safety organized jointly by SPANCOLD and Technical University of Madrid. Module 4: The dam as a structure. She has wide research experience in dam engineering. Has published many articles and made numerous presentations in various conferences about various areas of Geotechnics, hydraulics and dams. She is currently taking part in a research project for the development of a calculus code for the complex thermal-stress-strain analysis of double curvature arch dams, named ACOMBO.